This property is 6 minutes walk from the beach. 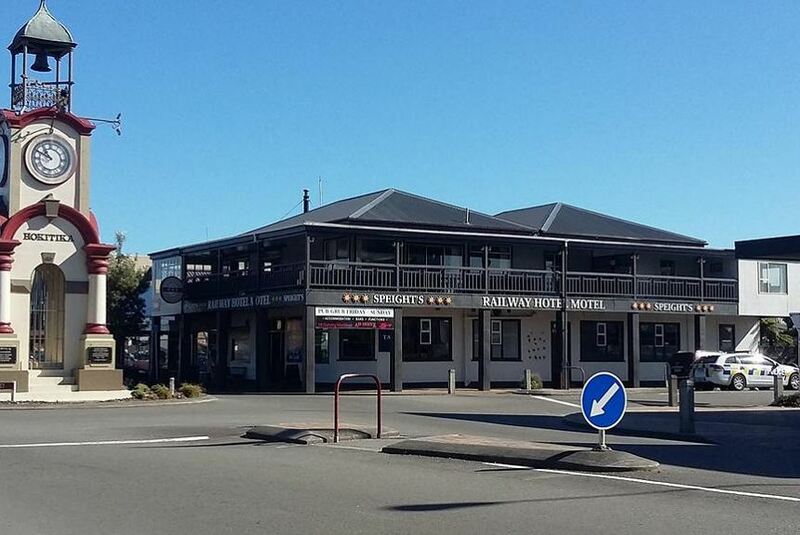 Railway Hotel/Motel Hokitika provides accommodation in Hokitika. The property has a bar, as well as a restaurant serving Local cuisine. The accommodation offers an ATM, and luggage storage for guests. At the motel, the rooms are equipped with a wardrobe. All rooms come with a private bathroom, while some boast a mountain view. All rooms in Railway Hotel/Motel Hokitika are equipped with a flat-screen TV and free toiletries. Fishing is among the activities that guests can enjoy near Railway Hotel/Motel Hokitika.